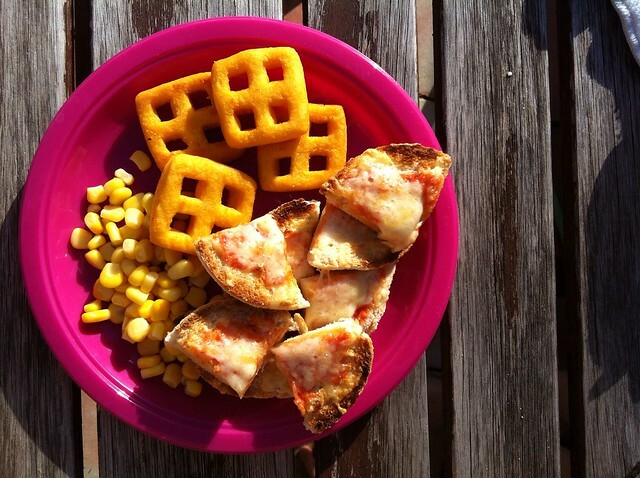 English muffin pizzas, sweetcorn, carrot & potato waffles. We may have started a family pizza night on Fridays. BBQ night. 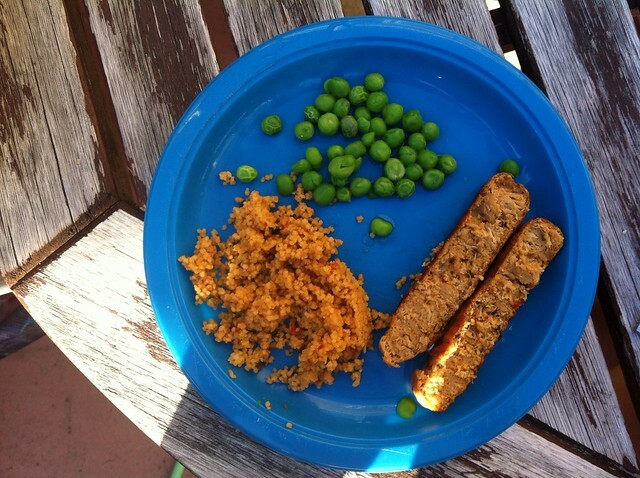 Vegetarian Mediterranean style sausage, peas and Mediterranean vegetable couscous. 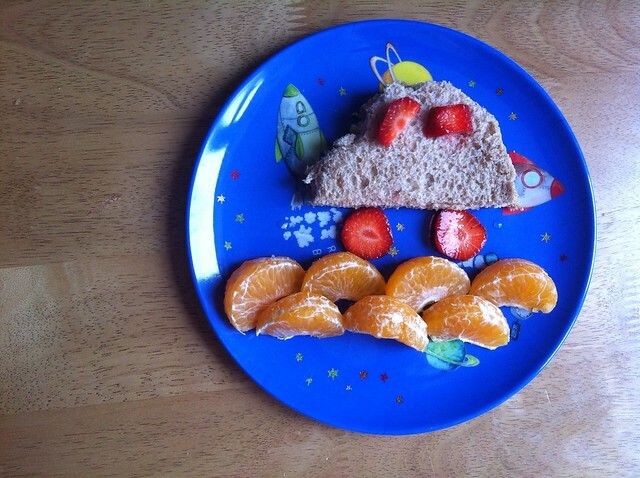 Wholemeal jam sandwich "car" with strawberry wheels & windows, and a clementine segment road. Not my best, but I ran out of strawberries & the baby was screaming. 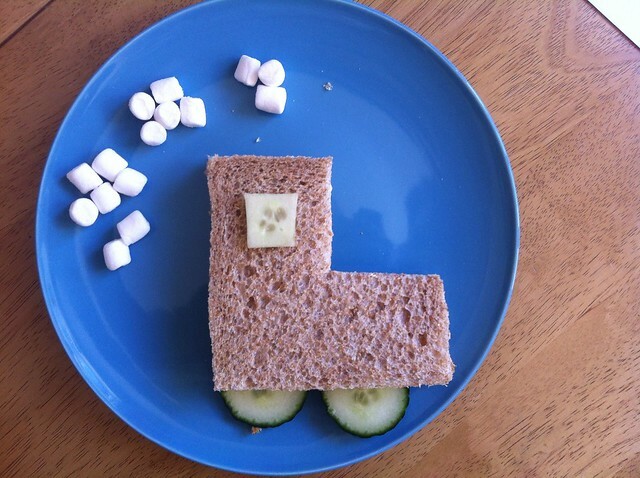 Cheese sandwich train, with cucumber wheels & marshmallow "steam". 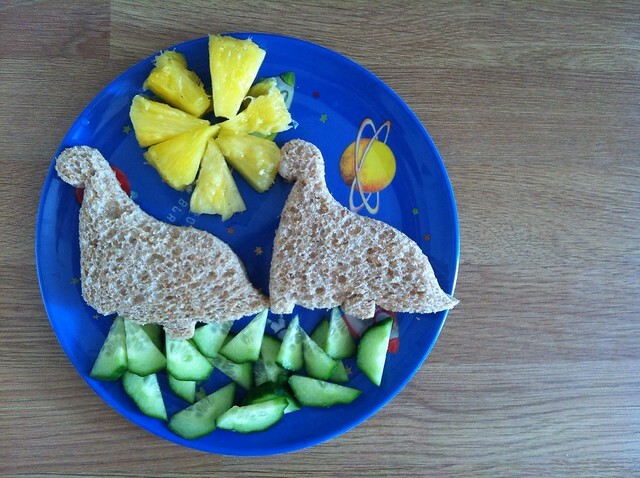 Dinosaur jam sandwiches, cucumber grass & a pineapple sun. 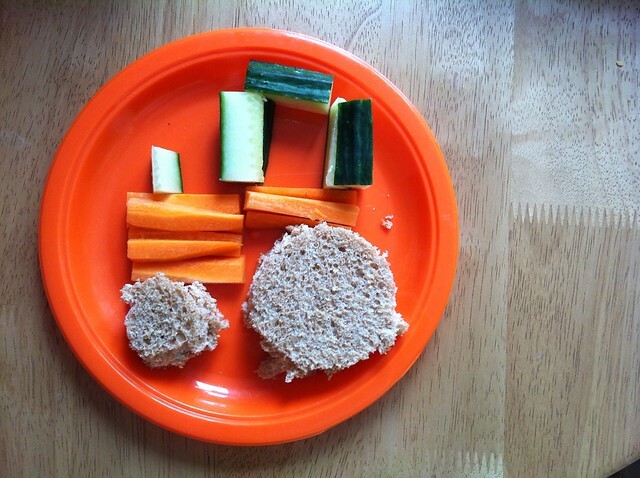 A tractor lunch, with cheese spread wheels, carrot sticks for the engine and cucumber sticks for the cab. 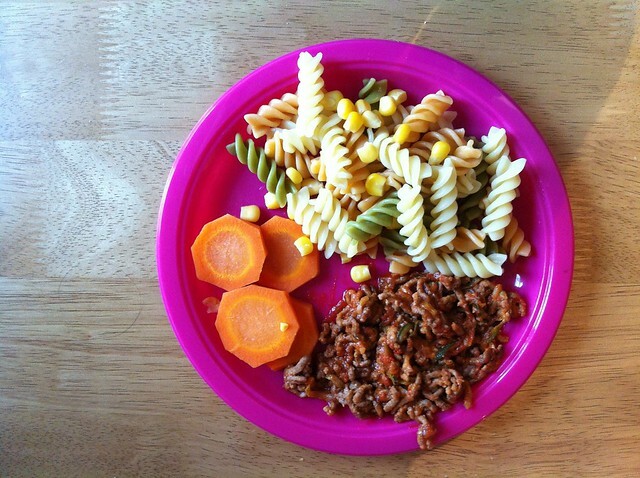 Tricoloure pasta, sweetcorn, carrots and mince with tomato passatta, grated courgette & carrot.